DAVID LE/Staff photo. 3/14/15. 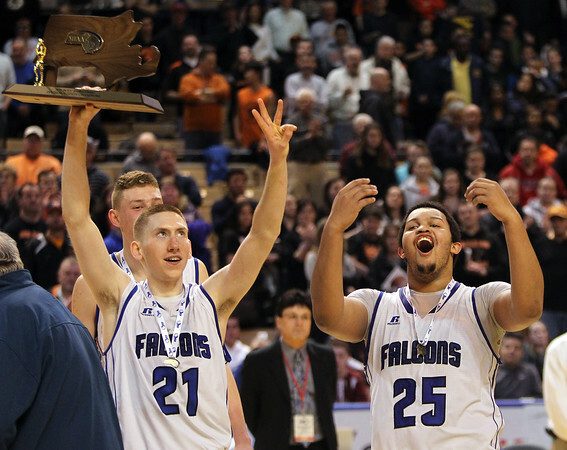 Danvers senior captain Vinny Clifford holds up the D2 State Championship trophy as fellow senior captain Devan Harris (25) pumps up the Falcons crowd after Danvers captured the D2 State Championship with a 52-49 win over Marlboro at the DCU Center in Worcester on Saturday afternoon for their third state title in four years under head coach John Walsh.